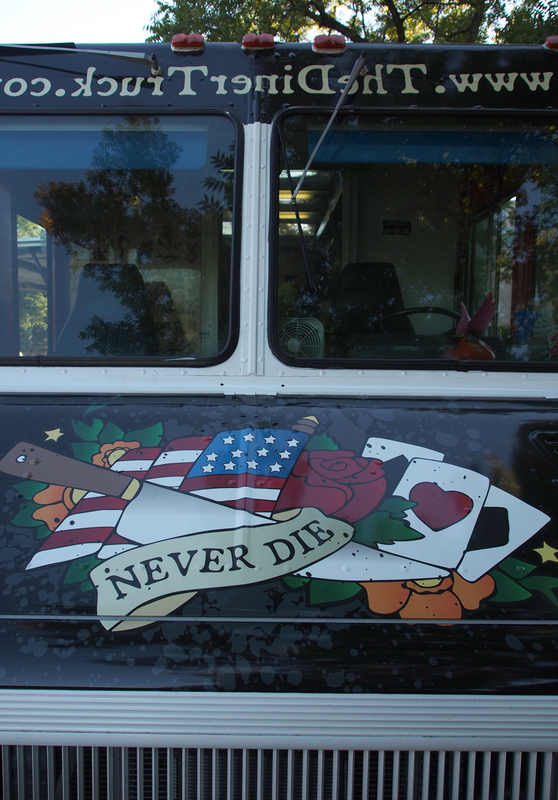 One of the food trucks that served Lincoln residents at Wednesday’s FoodMob event. Several events drew out the public in the historic downtown Lincoln area this last Wednesday evening. 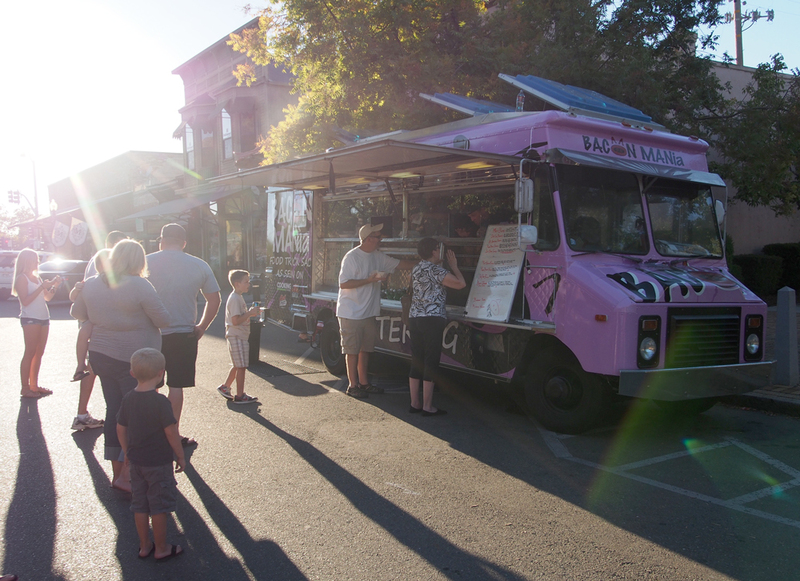 The monthly FoodMob event started at 5:00 p.m. on Fifth Street. 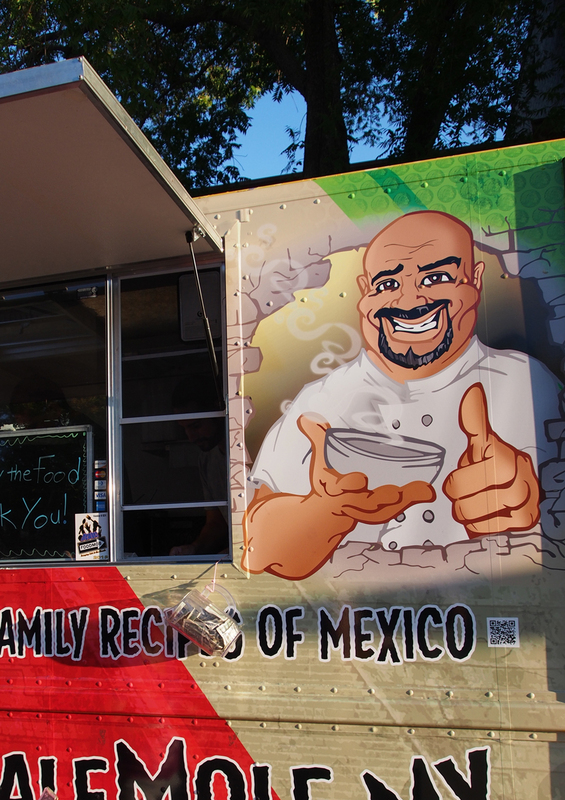 Food trucks served food and drink as hundreds enjoyed a warm evening on Beermann’s Plaza. Families gathered around the picnic tables to eat and visit while young kids frolicked in the inflatable playground. The Bacon Mania food truck was a popular stop. Also beginning at 5:00 p.m. just one block over at 6th & F Streets, the new Art Center of Lincoln held its opening reception for the Members’ Art Show. Art League of Lincoln leaders said more than 200 people attended the show and reception that lasted 2 1/2 hours. More than 50 2D and 3D art pieces were on display. Art League of Lincoln President Paul Apfel, (standing, right) and Art Center Director Jean Cross (far right) greet Art League members at the opening reception in the new Art Center. 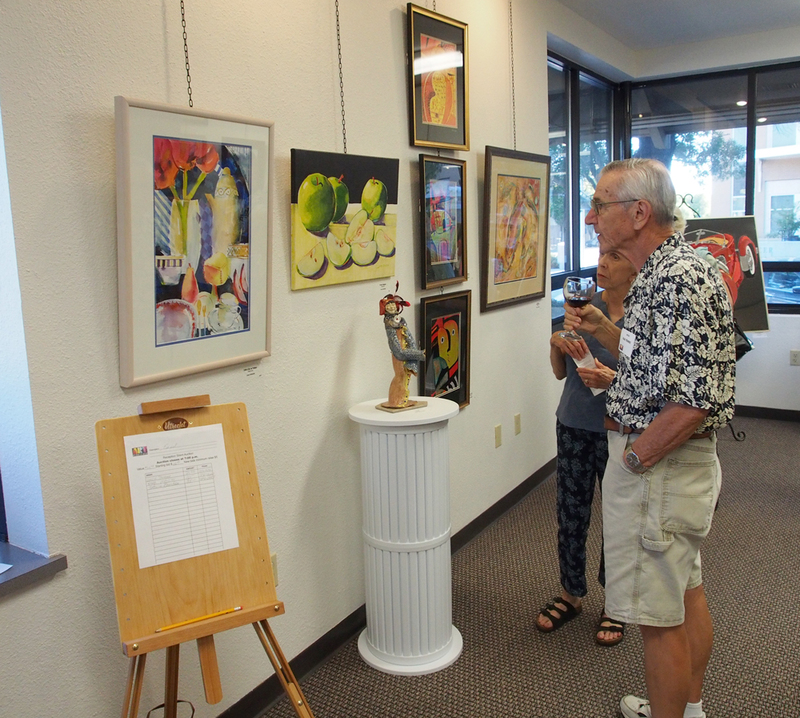 More than 50 pieces were on display at the Art Center members’ art show. 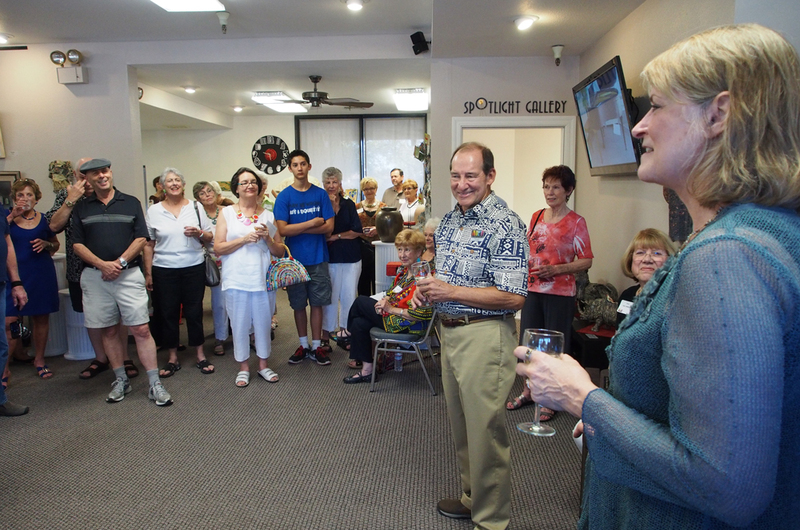 That same evening, the Lincoln Chamber of Commerce held a mixer event at the Sierra Hills Framing shop on Lincoln Blvd. 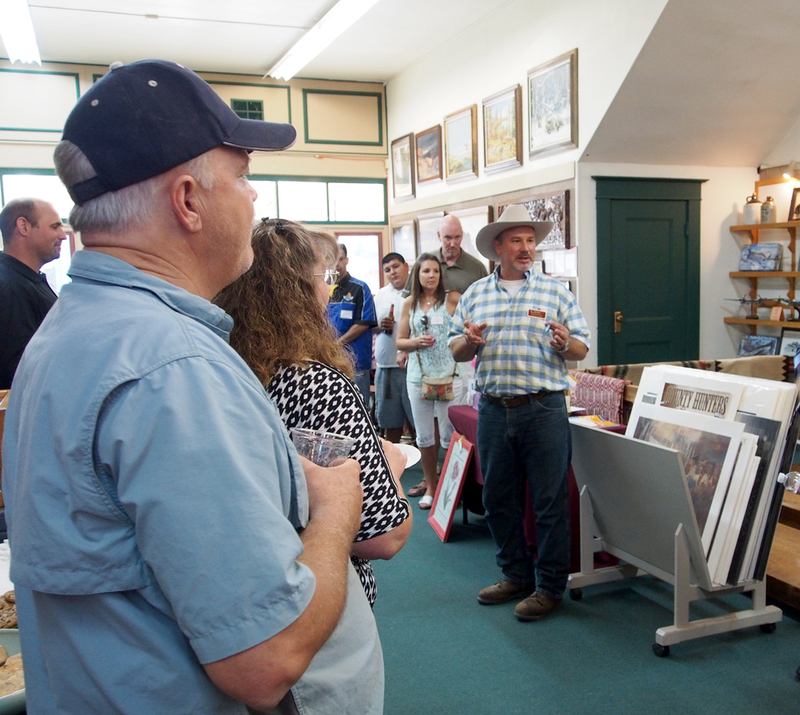 Sierra Hills Framing store owner Tom Jones chats with Lincoln Chamber of Commerce members at a mixer event held at the store.